This oversized, 32.25" metal wall clock is inspired by the nostalgic design of a 20th Century industrial fan. 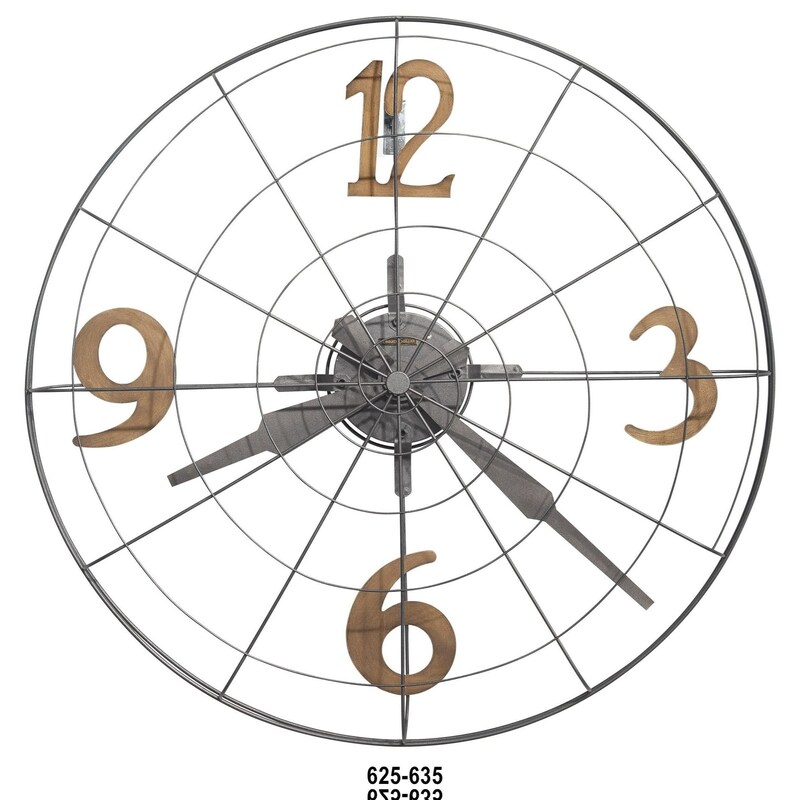 Features a warm gray finish and applied, gold-finished metal numerals at the 12, 3, 6 and 9 positions. The hour and minute hands are finished in warm gray. The Wall Clocks Phan Wall Clock by Howard Miller at HomeWorld Furniture in the Hawaii, Oahu, Hilo, Kona, Maui area. Product availability may vary. Contact us for the most current availability on this product. Wood & Finish Features a warm gray finish and applied, gold-finished metal numerals at the 12, 3, 6 and 9 positions. The Wall Clocks collection is a great option if you are looking for Industrial Contemporary furniture in the Hawaii, Oahu, Hilo, Kona, Maui area.